Barn owls are cavity-nesting birds of prey but they do not create their own nest holes. Instead, they frequently use hollow trees or cavities from other birds, and they readily move into open buildings or nest boxes. With the right barn owl box, it is possible to encourage barn owls to become permanent residents in your yard or elsewhere on a larger property. Many farmers and backyard birders welcome barn owls because these birds are efficient hunters that prey almost exclusively on small rodents such as mice, voles, rats, shrews, and gophers. With hungry barn owls and owlets in the area, less money, time, and effort will be needed for rodent control. Furthermore, because these raptors are primarily nocturnal, they rarely bother livestock or pets. Despite the fact that barn owls are one of the most widespread owl species, they can be finicky about where they nest. Open areas are best, including grasslands, marshes, and fields. Some sparse woodlands are acceptable, but barn owls generally avoid very dense forests that are a preferred habitat of great horned owls, one of their natural predators. To encourage barn owls to nest in appropriate areas, avoid using chemicals to kill rodent populations. Concentrated poisons in the rodents can be harmful to owls, and barn owls will not nest if there is insufficient food. Place a barn owl nest box at least 15-20 feet high, but be sure the opening is shaded from the sun and wind. If the box is mounted on a pole, use a baffle to prevent cats, raccoons, and other predators from reaching it. Nesting platforms can also be placed in barns, steeples, or silos if the owls will be able to access them easily. Nighttime lights in the surrounding area should be eliminated or minimized so the owls are not disturbed and do not feel exposed. If boxes are in the right habitat with sufficient prey available, barn owls may nest in a range of box styles. A typical barn owl nest box has a six-inch entrance hole that is suitable for a barn owl but too small for a great horned owl, and the hole should be approximately four inches above the floor of the box. No perch is necessary, and adding one will only give footing to predators. Drainage holes are essential for any safe bird house, including owl boxes. Some box designs include a narrow slat along one edge so adult birds can kick out unwanted debris. To further facilitate cleaning and appropriate monitoring, the box should have a side or top that can be safely opened. The interior dimensions of barn owl nest boxes can vary greatly. One brood of barn owls may have 2-18 nestlings, and as the owlets grow a smaller box can become crowded very quickly, potentially smothering young chicks. In general, an owl box should have a floor no smaller than 10x18 inches, though larger boxes, even loft-like rooms, are common and just as likely to be attractive to nesting barn owls. Many of the same retailers also offer box building plans and tips for birders who would like to construct their own boxes. In addition to these retailers, check with local Scouting groups, Audubon chapters, and other organizations about the possibility of locally-made barn owl boxes. When barn owls move into your nest box, a few simple steps are necessary to make them feel welcome. Do not disturb nesting owls. Barn owls are protected by state and federal laws. Moving, destroying, or disrupting a nest is a serious crime punishable by steep fines, potential jail time, and other penalties. Wear earplugs. Barn owls are noisy and young owls may beg for food all night long with loud screeches and other cries. Avoid positioning a nest box near a home or window if these nocturnal noises will disturb you. Clean the box in late fall. Barn owls will regurgitate pellets in the nest box to serve as cushioning for the young birds, but this material can be removed after the nesting season ends. Cleaning the box will make it more inviting for owl pairs the following year and will minimize any insects, rodents, or bacteria that could be harmful in future nests. Prepare boxes in late winter. Barn owls begin nesting as early as mid-February, and all nesting boxes should be ready for use in late winter. The nesting season generally ends in mid- to late July when young birds have left the nest, and the boxes can be cleaned, repaired, or replaced after that time. Observing nesting barn owls can be a rewarding and exciting experience. 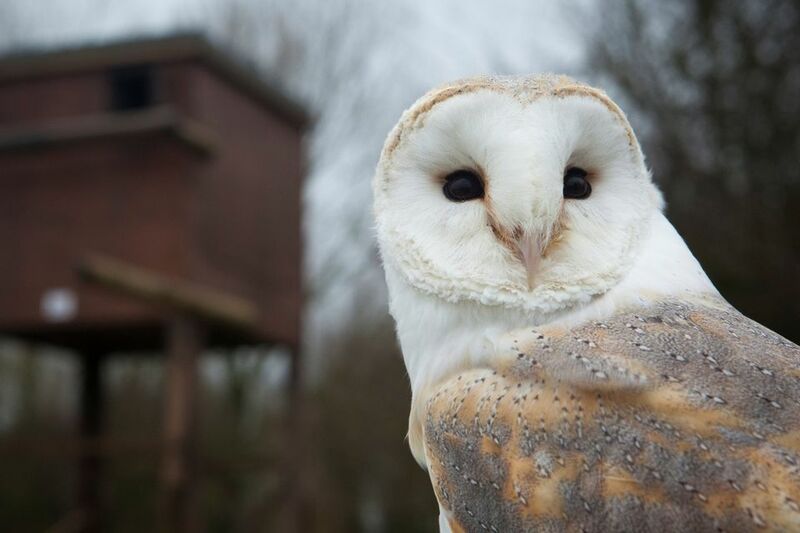 Choosing the right barn owl box, positioning it appropriately, and taking simple steps to welcome residents will encourage these ghost owls to make their homes on your property. What Is a Bird Roosting Box?